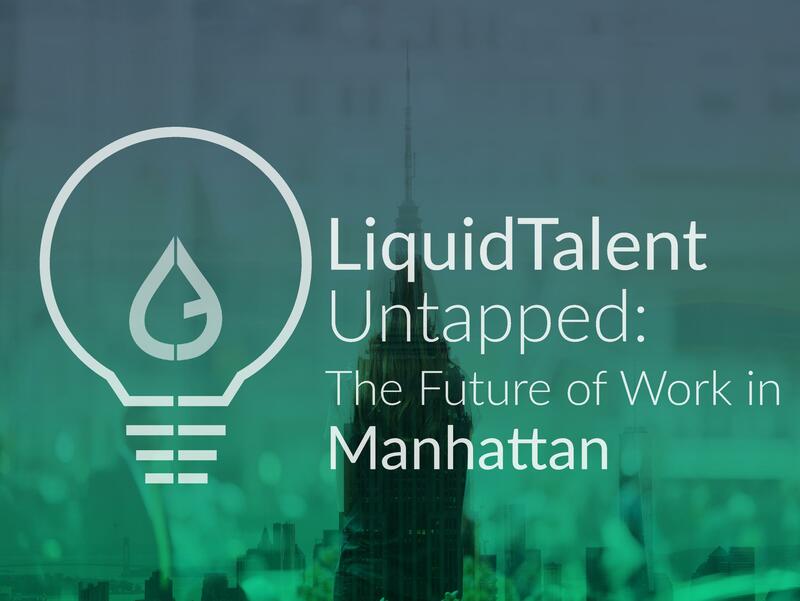 The LiquidTalent Future of Work Summit will explore what the next generation of work will look like in Manhattan. We will discuss the driving forces behind the Future of Work, including education, mobility, lifestyle, and independence. #ManhattanUntapped's audience includes modern-day professionals, free agents, educators, public officials and community influencers. This inaugural Summit is meant to provide its participants with a spark - to capture a new way of thinking and channel the spirit of The Future of Work. This Summit is brought to you by LiquidTalent, a new generation platform modernizing the way professionals discover, connect and work together. Join us for one of the most inspiring, thought-provoking and transformative events of the year!  The LiquidTalent Untapped Series highlights the sharing economy, explores collaborative co nsumption, promotes the Free Agent Nation, and helps to realize the potential within us all. ﻿#ManhattanUntapped will bring together modern-day professionals, free agents, educators, public officials, and community influencers in order to build new relationships and foster meaningful conversations for a brighter professional future. This Summit is meant to provide its participants with a spark; to capture a new way of thinking and channel the spirit of The Future of Work. Alex Abelin is the Co-Founder and CEO of LiquidTalent, a new-generation mobile job platform that's revolutionizing the way professionals match and hire. Prior to starting LiquidTalent, Alex spent 7 years at Google, serving as Public Affairs Manager for New York City and Data Center regions. Chad Dickerson is the current CEO of Etsy. Prior to that, Yahoo!, IDG, and Salon.com. He is an internet executive with 20 years experience, including engineering, product development, general management, business operations, and strategy. Sara Horowitz is an innovator for tomorrow’s workforce. As Freelancers Union’s Founder and Executive Director, Sara Horowitz has been helping the new workforce build solutions together for nearly two decades. Sara has been named one of Forbes’ Top 30 Social Entrepreneurs, Businessweek’s Top 25 Most Promising Social Entrepreneurs, and the World Economic Forum’s 100 Global Leaders for Tomorrow. Nancy Ploeger is the President of the Manhattan Chamber of Commerce. Enhancing New York City's economic growth and advocacy for small businesses has been Nancy's goal for the past 20 years. Since joining the Chamber in 1994 as the Executive Director, Nancy has represented the business community on a wide range of critical issues, most notably those involving health insurance for SMEs, MWBE certification, government procurement, small businesses globalization, diversity and business resources for services sectors, among other issues. Andrew Rasiej is a civic and social entrepreneur, technology strategist, and Founder of Personal Democracy Media focusing on the intersection of technology, politics, and government. He recently founded Civic Hall, a 18,000 square foot community center and event space for civic innovation in the Flatiron District of New York City. He is the Chairman of the NY Tech Meetup, a 40,000+-member organization of technologists, venture funders, marketers, representing start up and more mature companies using technology to transform themselves, New York City, and the world. He is the Founder of MOUSE.org which focuses on 21st century public education. He is also Senior Technology Advisor to the Sunlight Foundation a Washington DC organization using technology to make government more transparent. Andrew lives and works in New York City, and can be followed on twitter at @rasiej. Matthew O. Brimer co-founded General Assembly and leads global partnerships and business development. He is responsible for many of the key partnerships General Assembly has created with Fortune 500 companies, including American Express, General Electric, PepsiCo, Viacom, JP Morgan, Facebook, Amazon, and McKinsey. His passion for online + offline education and community-building has helped thousands of talented students develop the mindsets and skills in technology, business, and design needed to succeed in an increasingly digital environment. Brimer was most recently named to Vanity Fair’s "The Next Establishment", Inc Magazine’s "30 Under 30", and Business Insider’s "Silicon Alley 100". Prior to General Assembly, Brimer founded and managed several startups, including PickTeams.com and Aloysius Properties. Brimer holds a BA in Sociology from Yale University and currently lives in New York City. Tiffany Pham is the Founder & CEO of MOGUL, an award-winning worldwide platform connecting women to trending content, including articles, videos, questions, photos, products, and courses that are personalized to their interests. MOGUL is visited by millions of women from over 196 countries and territories and 20,651 cities worldwide. Mogul was named "Top Sites for Marketing Your Company Online" by Forbes in 2015. Tiffany was named one of Forbes' 2014 "30 Under 30" in Media, Business Insider's 2014 "30 Most Important Women Under 30" in Technology, and also the Winner of the 2014 Cadillac "Innovator" Award. Tiffany was also named one of ELLE Magazine 2015 "30 Women Under 30 Who Are Changing the World." She is a frequent speaker at Harvard Business School, Bloomberg, Northeastern, Columbia, and events from Beijing and Dubai. Tiffany is also the co-author of the book From Business Strategy to Information Technology Roadmap: A Practical Guide for Executives and Board Members (published by CRC Press). She is a graduate of Yale University and Harvard Business School. as a Program Analyst at the Bureau of Labor Statistics. Maya Pope-Chappell is a news editor at LinkedIn overseeing education and millennial content. She works with LinkedIn Influencers such as US Secretary of Education Arne Duncan and edX CEO Anant Argawal, in addition to students and recent grads. She previously worked at The Wall Street Journal for nearly five years in a variety of roles, including Social Media & Analytics Editor and Online News Editor based in Hong Kong, and an Assistant Web Producer in New York City. Lyel Resner is an educator and an entrepreneur. He currently runs K-12 and Social Impact at The Flatiron School, which delivers innovative computer science and entrepreneurship education to more than 800 students in 11 cities. He has led 10x year-over-year growth and helped to lead partnerships with Google, Teach forAmerica, and DoSmething.org. 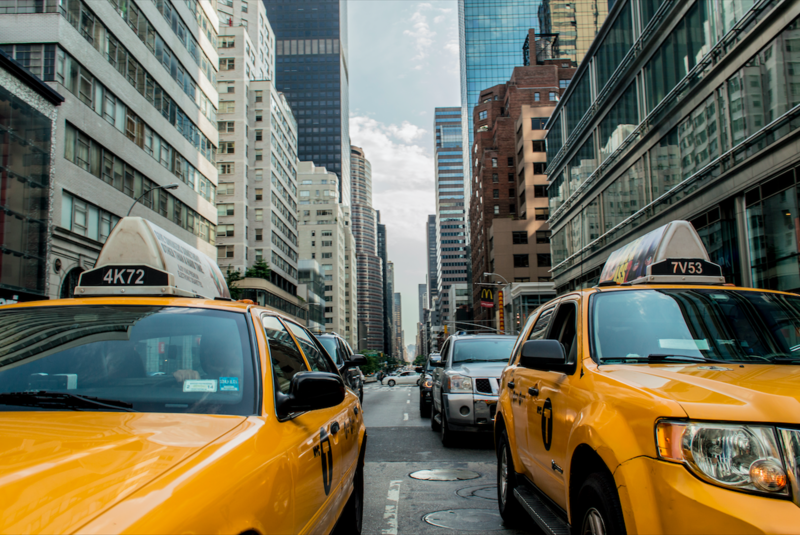 Lyel was an Adjunct Professor at NYU Stern School of Business, and sits on the boards of the Centre for Social Innovation and The Bronx Academy for Software Engineering. He holds degrees in Physics and Political Science from MIT, where he was a Burchard Scholar. He enjoys surfing and air-drumming on the subway. Maryann studied Finance at the University of Virginia and started her career in interest rates trading before working in educational management and operations at Success Academies and KIPP. Maryann is currently a Chief of Staff at Teach for America National and board chair for STEM From Dance, a 501c3 founded by a TFA Alum. She is passionate about the opportunity to combine energy, talent, and passion across multiple sectors to empower educational opportunity in the US. Max Stossel is a storyteller, digital marketer, and poet based in New York. His debut video, Subway Love, was an immediate viral success and his work has been featured by a wide variety of media, including Fast Company, Mashable, The Daily Mail, Upworthy, Buzzfeed, Vimeo, and many others. He has created social media strategies for startups and Fortune 500 companies including Budweiser, Dove, and several Pepsico brands. He was a founding team member of Ocho, a Mark Cuban backed social video platform aiming to reimagine what Youtube would look like if it launched today. He is passionately curious about the future of technology and stories. Kyle Westaway is the author of Profit & Purpose, Managing Partner at Westaway Law - an innovative Brooklyn law firm that counsels social entrepreneurs - and a Lecturer on Law at Harvard Law School, where he co-teaches a course on social entrepreneurship. He writes on social innovation, entrepreneurship, the future of work and emerging markets for The Guardian, The Wall Street Journal and Quartz. Every Saturday morning he sends out the Weekend Briefing - an email on the impact of innovation on society. Kyle serves on the board for The Adventure Project and the Closed Loop Foundation as well as a mentor for Harvard’s I-Lab and Praxis. Alex Abelin is the Co-Founder and CEO of LiquidTalent, a new-generation job platform revolutionizing how world-changing companies discover, connect and hire exceptional talent. The LiquidTalent platform connects exceptional professionals in the Technology and Creative fields with local businesses. We believe the Future of Work will be more mobile, independent, and lifestyle driven. Prior to starting LiquidTalent, Alex served as Google's Public Affairs Manager from 2005 to 2013. Scott Annan is the Co-Founder and COO of LiquidTalent. He brings a strong background in finance and entrepreneurship to LiquidTalent. He began his career as an analyst and has started and co-founded four businesses. In 2010 Scott published the book, AIMbitious.com, a self-development book for young professionals. Scott has a deep interest in mobile technology and the development of mobile applications to make professional and social interactions more frequent and valuable. Scott grew up outside of Boston and graduated from Colgate University in 2005 with a BA in History. He currently lives in New York City. At LiquidTalent we believe the future of work will be more mobile, independent, and lifestyle driven. We are proud to host this Summit and look forward to seeing you!